Dwaine Pretorius is a South African born cricketer who represents the men's national cricket team of South Africa in international cricket. At the domestic level, Dwaine represents the Highveld Lions. Dwaine plays as a bowling all-rounder. Dwaine Pretorius was born on March 29, 1989, at Randfontein, Transvaal Province, South Africa. Dwaine is a bowling all-rounder who bats right-handed and is an excellent right-arm medium fast bowler. Pretorius made his international debut for South Africa on 25 September 2016, in an ODI match against Ireland. On his debut game, he took one wicket for 19 runs. He was not required to bat during South Africa's emphatic 206-runs win. Pretorius made his T20I debut against England on June 21, 2019. For the 2015 Africa T20 Cup, Dwaine Pretorius was included in the North West cricket team. In the first season of the T20 Global League, he was named in Cape Town Knight Riders' squad, which was unfortunately canceled. Pretorius was named in Jozi Stars' squad for the first edition of the Mzansi Super League T20 tournament in 2018. 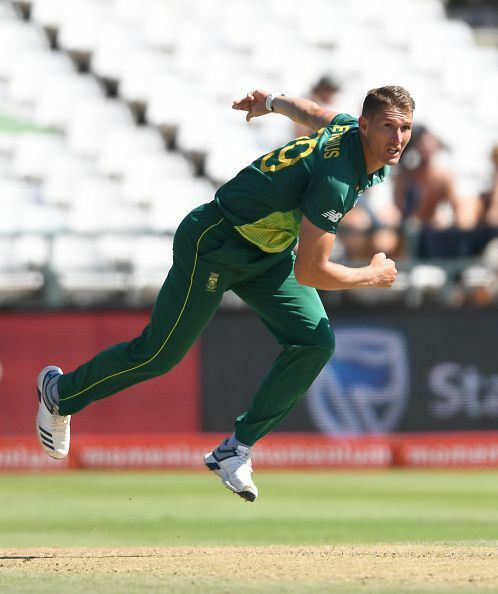 In April 2019, Dwaine Pretorius was named in South Africa's squad for the ICC 2019 Cricket World Cup.